Enable project stakeholders to access reports, wherever they are in the world, on whatever device they choose. No more waiting for the latest project updates and reports. The modern project organisation is dynamic. Project stakeholders are often located in remote locations or traveling, but still require to-the-minute project status updates to make informed and timely decisions. With Safran Web Reporting, you never again need to wait for the latest project reports, whether that’s prepared weekly/ monthly report packages or your own bespoke creations. 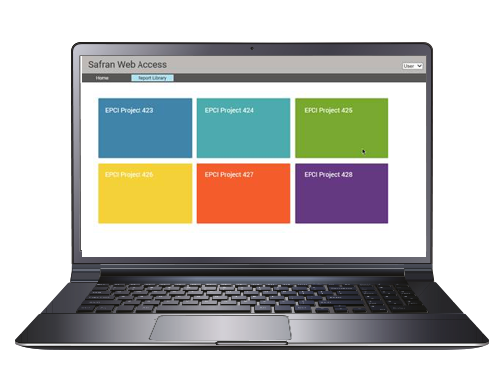 Just access the secure Safran Web Reporting web site via your preferred browser. Safran Web Reporting lets you access the very latest reports on the device of your choice. Keep decision-making dynamic and informed with updates at your fingertips.